The Marchand Institute for Minimally Invasive Surgery has secured an affiliation agreement with Steward Hospital’s Mountain Vista Medical Center for the purposes of creating a fellowship program in Minimally Invasive and Robotic Gynecologic Surgery. We plan to open the program to perspective applicants in 2019. The program will incorporate teaching in both laparoscopic and robotic techniques in minimally invasive gynecologic surgery, but will focus specifically on ultra-minimally invasive and single port laparoscopic techniques. 1.) Applicants must be board certified or board eligible OBGYN physicians, able to be licensed in the state of Arizona with an unrestricted license, and able to obtain hospital privileges at our affiliated hospital system. 2.) Applicants must be legal US residents with the legal right to work in the United States. This program will not sponsor J-1 visas. 3.) 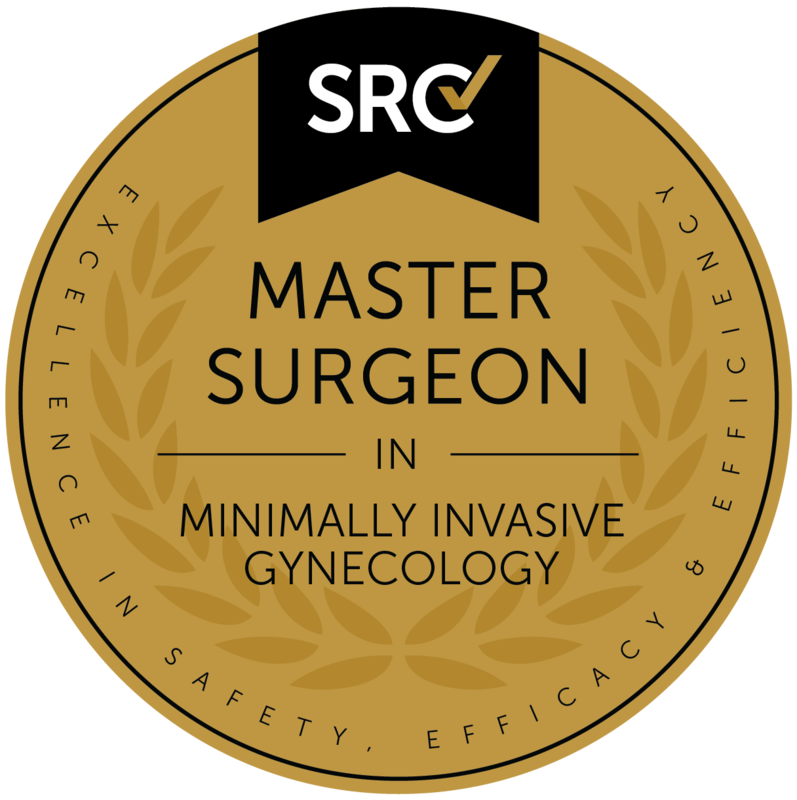 Applicants must be committed to the advancement of minimally invasive gynecologic surgery and to bringing these advancements to all women in the United States regardless of nationality, economic class or ability to pay. The overall goal of the fellowship program will be to train surgeons to become adept to practice minimally invasive surgery in any environment they choose to practice in. This could range from full service OBGYN’s who wish to offer minimally invasive surgery to their own indigenous surgical patients, all the way to surgeons practicing as tertiary specialists in regional centers who receive referrals from other gynecologic surgeons for procedures to be performed through minimally invasive techniques. Although complications with minimally invasive procedures performed by competent surgeons are rare, a significant amount of training will be devoted to identification and treatment of surgical complications. We will use simulations and discussion sessions to keep complication identification and treatment as a constant discussion theme despite the low prevalence in minimally invasive surgery. Significant emphasis will be placed on correct patient selection and limitations of each of the surgical modalities. Also, particular emphasis will be placed on appropriate patient counseling and documentation of this counseling. Lastly and unambiguously, all fellowship graduates will be experts of minimally invasive entry techniques to complicated abdominal cavities. 1.) Office Based (Outpatient) Counselling for Minimally Invasive Surgical Procedures: During the office-based Gynecology rotation, the fellow will learn to become effective counselor and communicator to patient’s wall functioning as a consultant for other specialties. Fellows will see patients in an office environment and either personally perform ultrasound or view ultrasound performed by sonographic staff. Based on the clinical presentation and the radiologic findings the fellow will counsel the patient as to appropriate options including minimally invasive options, and extensively counseled the patient as to the risks of the surgical interventions. The fellows will then proceed to follow these patients through surgical intervention including appropriate techniques, selection of appropriate minimally invasive modality, and postoperative care. These elective cases that are set up from the office environment will be mandatory attendance for the fellow’s throughout the fellowship regardless of the current rotation the fellow is completing. Exceptions to this would include surgeries interfering with academic or research time, or any surgery where another fellow or resident is taking the primary learning role in the surgery. This rotation will emphasize the fundamentals of laparoscopic, vaginal and robotic surgery and it will be mandatory for surgeons to develop confidence in their techniques as well as to be able to discuss scenarios where a change in technique is warranted and advantageous. There is sufficient OB/GYN coverage in place so that fellows will not be needed to perform gynecologic surgeries that are not related to minimally invasive surgery, although they will be responsible for counseling patients as to the availability of these procedures and setting patient up for these procedures if the patient desires. Fellows must understand the limits of minimally invasive surgery and have the option of attending the laparotomy or other non-minimally invasive surgery if the patient and physician chooses this option. 2.) Hospital Based (Emergent) Minimally Invasive Surgical Patietn Management: In the hospital-based rotations the patient will function as a consultant and minimally invasive surgery and the primary objective will be to function as an effective consultant and both perform minimally invasive surgeries on an inpatient basis as needed and use expert judgment as a specialist as to which scenarios dictate or allow minimally invasive procedures to be performed on an inpatient basis. It will be mandatory for the fellow’s to be able to effectively counsel the patient as to their options prior to surgery and discuss the limitations of minimally invasive procedures on an emergency basis. Specific considerations will be discussed with the fellows including emergency surgery that results in loss of fertility, and circumstances surrounding hysterectomy performed on an inpatient basis. All rotations will include all electively scheduled cases from all attendings and providers unless emergency situations preclude. For More information you can email Maria Sainz at msainz@MarchandInstitute.org. We expect accreditation and application information to be available in late 2019.